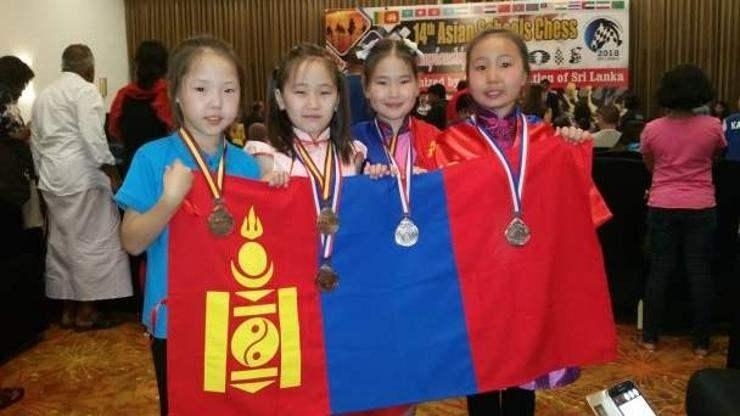 AKIPRESS.COM - The Mongolian junior chess team has successfully participated in the 14th Asian Schools Chess Championship 2018. The competition took place in Kalutara, Sri Lanka on 7-15 July, news.mn reports. With their team score the Mongolian chess players won the gold medal and a cup in the Under-8, blitz and rapid categories. In the U8 (Under-8) category, E.Zol-Uchral won bronze, A.Anu-Ujin the 4th place and in rapid category A.Anu-Ujin won gold, E.Zol-Uchral silver and in the blitz category A.Anu-Ujin won silver and E.Zol-Uchral a bronze medal. In the U10 category E.Emujin won silver, B.Khulan bronze medal and the team won gold and two bronze medals in rapid and blitz categories respectively. E.Zol-Uchral, E.Emujin and B.Khulan have qualified for the FIDE Master title.